Oilers Fire Ralph Krueger. Expected to announce Dallas Eakins as his replacement. Craig Mactavish held a press conference today to announce that the team has fired head coach Ralph Krueger. Mactavish was adament at his opening press conference that he would not be firing the coach and that his approach would be to give Krueger the tools needed to get the job done, but apparently in his search to find an associate or assistant coach for Krueger Mactivish made the realization that the team needed to go in a different direction. “During the process of me conducting those interviews, I recognized that I was trying to add a coach that was more closely aligned to the way that I wanted to run the team and less about supporting Ralph in the head coaching role,”. Although Mactavish did not name a replacement for Krueger it is widely beleived to be Toronto Marlies head coach Dallas Eakins. 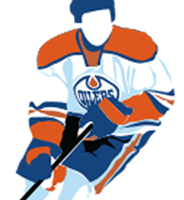 I’ve been a big fan of Eakins for some time and was excited to hear that the Oilers were showing interest in him for the associate position, but I beleive he is only interested in the head job. “Looking back at being an assistant coach, I think I did a real good job for Paul; but now being a head coach, I firmly know that I’m a much better head coach than I ever was an assistant. I think it’s my personality. I think it’s one of these things where I want things done my way, and that’s it. So I think the assistant coaching helped me, but deep down inside, I think I knew I was a head guy.” You can read the full interview here. My theory here is that Eakins style of coaching is more inline with what Mactavish can relate with and the fact that Eakins was not interested in the associate position resulted in Mactavish having to choose between keeping Krueger or hiring Eakins. “I don’t think this was in any way fair to Ralph. This wasn’t about being fair to Ralph. I mean, it was a consideration in this. You always want to be as fair with your personnel and your staff as possible. This to me is a big moment for Mactavish. This shows that Mactavish is able to recognize an opportunity to improve the team and can make those decisions logically without letting emotion cloud his judgement. This entry was posted in Coaches, Uncategorized on June 9, 2013 by jtunnicliff.